Super Mario Odyssey Review - A Video Game That Will Be Remembered For The Ages — GamingWithSwag.com - Dads By Day, Gamers By Night. 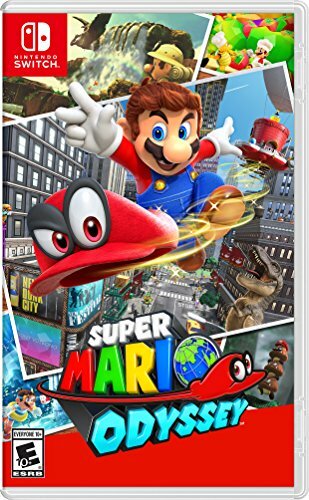 High Level Premise: The latest three-dimensional Mario adventure, exclusive to the Nintendo Switch. Lots of copy abilities with new sidekick Cappy. Graphics/Style: Mario enters for the first time the real world. Landscapes are beautiful and just waiting to be explored. Think Super Mario 64 or Sunshine in HD with a enormous color palette. Music/Soundtrack: Typical Mario sound effects and orchestral ambience that does not detract from playing and is easy on the ears. Story: Bowser crushed Mario's iconic red hat! Cappy has agreed to aid Mario on his quest to get revenge and stop Bowser from marrying Princess Peach. Replay-ability: Very High - Lots of nooks and crannies to explore to obtain many hidden secrets and items. Worlds encourage replaying through to find everything. Time Commitment: Short - Starting and ending a power moon quest takes about 15 minutes depending on which quest you choose. However expect to lose track of time, the game is that good. Value: It's a full price $59.99 and worth every penny. They easily could have charged double and everyone would be fine with paying a bounty to experience the odyssey of a mustachioed plumber. Favorite Element: The abilities. In the first 45 minutes I turned into a frog, Chain-Chomp, and a Tyrannosaurus Rex. Name another game that can do that! You can play as a giant T-Rex. Game of the Year. I totally thought that I had 2017 Game of The Year pegged when The Legend of Zelda: Breath of the Wild was released earlier this year on Nintendo Switch. However, I may have found a game to rival (or beat it) for that title. Super Mario Odyssey has taken the plumber to an all new level. As usual Peach was captured by Bowser, and Mario has to get her back or she will be married off to the most evil lizard who ever lived! 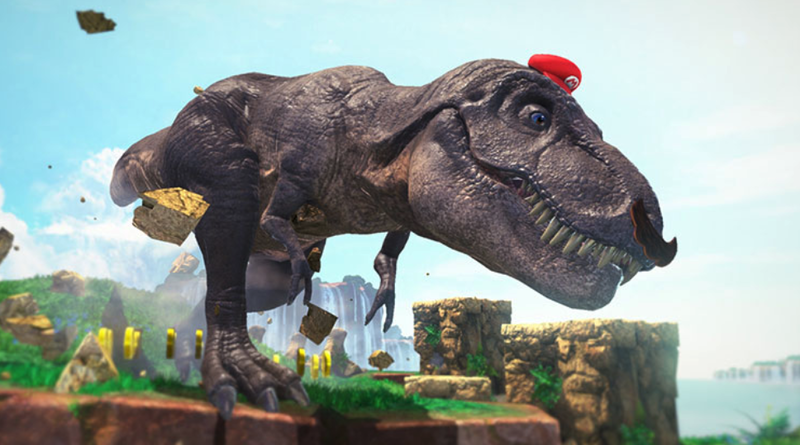 To do so, Mario must enlist the help of Cappy, a hat that can transform into just about anything it touches. Since Cappy's kingdom was ravaged by Bowser, the two combine forces to stop Bowser once again. Mario and Cappy travel around the world to the different kingdoms using the Odyssey ship which is fueled by "power moons" that are scattered throughout the land. Once enough moons have been acquired, Mario and Cappy can set sail for the next kingdom, sometimes being able to choose the next path in the story. Along the way Mario will find tokens tied to a particular kingdom that unlock various clothing items that he can wear to unlock secret areas. An area might call for a building inspector, so Mario would have to purchase and wear his uniform from Super Mario Maker. Cappy can allow Mario to turn into almost anything he sees, everything from a Goomba to a tank. These transformations all wield a special power. 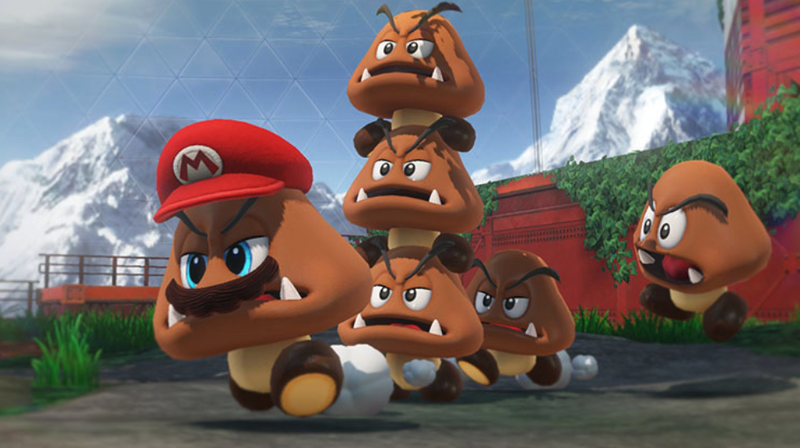 For instance, the Goomba transformation can allow Mario to jump on top of other Goombas to form a Goomba tower. This allows Mario to reach new heights and obtain coins, tokens, and power moons that were previously unobtainable. Reach new heights by stacking Goombas on top of each other. Mario has a move set that resembles Super Mario 64, and Super Mario Odyssey could easily be mistaken for a direct sequel to the classic title. With so many things to explore, so many secrets to uncover, the $59.99 price of admission is well worth is for hours upon hours of platforming fun. 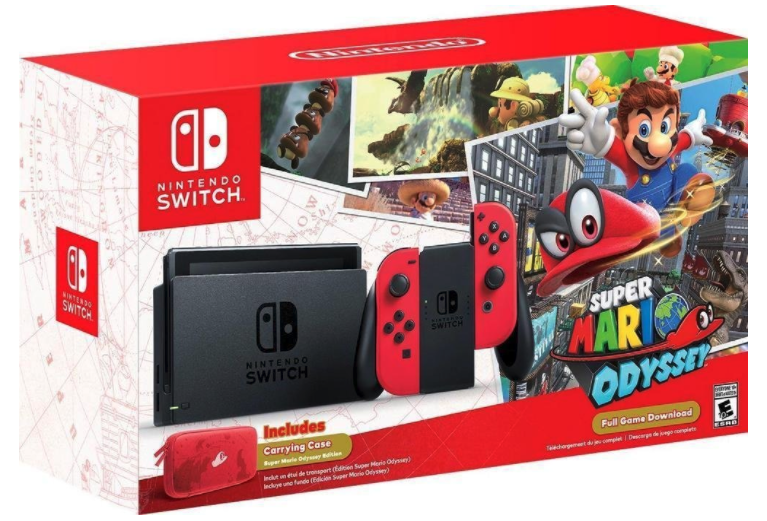 If you don't have a Nintendo Switch console yet, now is a perfect time to buy, as there is a deluxe bundle which includes the Super Mario Odyssey game. Ultimately, if you ever have remotely liked Super Mario 64 or even any of the other 3-D adventures, you owe it to yourself to find away to play this game. It inches out The Legend of Zelda: Breath of the Wild by just a little bit due to the learning curve is much lower than Zelda. The amount of fan service that went into this game is impressive as well. 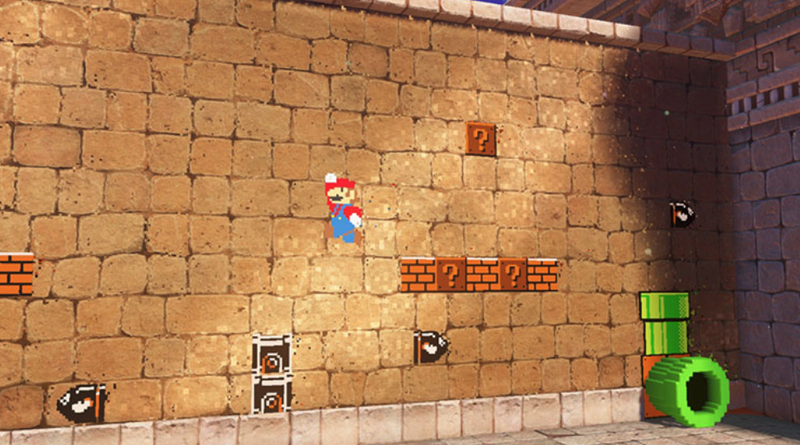 Check out one of the many 2-D sections below, where Mario will have to carefully traverse along the side of walls similar to The Legend of Zelda: A Link Between Worlds. 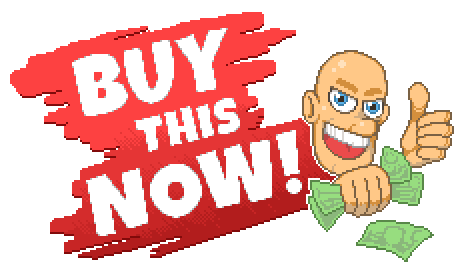 This game is for anybody and everyone to catch the latest adventures of Mario and his friends. Aug 11 Super Mario Adventures Comic is Getting a Reprint! What about the other books?